Lemon Garlic Herb Marinated Pork Tenderloin. 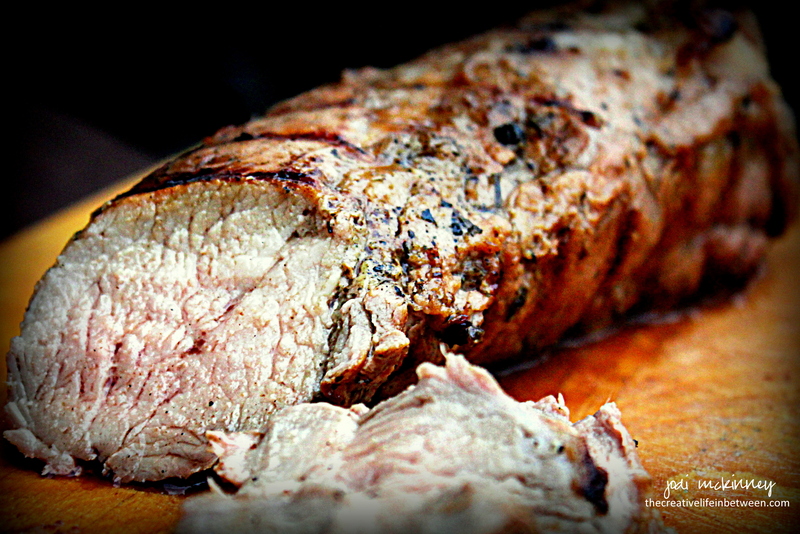 If you are a pork fan, like I am fast becoming, this marinated tenderloin is a MUST try! It turns out tender and juicy with a fresh citrusy herb flavor that pairs great with potatoes and fresh vegetables for a delicious, easy weeknight dinner. Prepare and marinade the meat the night before, then all you have to do is throw it on the grill for 10-15 minutes for dinner. Leftovers are great sliced thinly for sandwiches or tossed in a stir-fry. Such a bonus to get a couple completely different meals from one easy recipe. Hope you will give it a try, and hope you enjoy as much as we did. Make marinade by whisking together first 8 ingredients. Pour into large Ziploc bag. Add the pork tenderloins and coat. Marinade overnight in refrigerator or at least 8 hours. Preheat grill to 400 degrees F. Place tenderloins on grill. Discard excess marinade. Grill 10-15 minutes or until meat reaches 135 degrees F. Allow to rest 5-10 minutes. Cut into thin slices to serve. 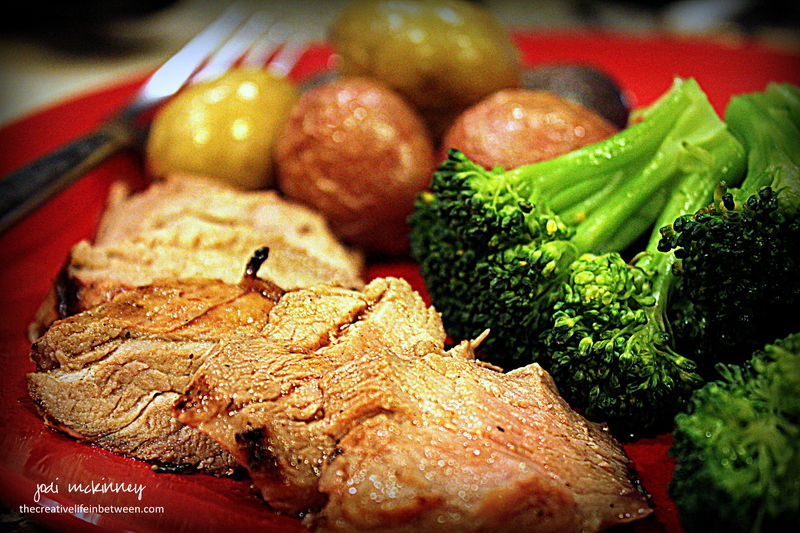 Enjoy with roasted new potatoes and steamed broccoli or your favorite vegetable. This sounds delicious Jodi. I LOVE pork in fact that’s what we had for dinner tonight, roast pork. I think I’ll try this one. Thank you! It tastes so wonderful. I’m not especially pleased with these photos I got, but I promise you it is mouth-watering and wonderful! Thanks Miriam! YUM!! This looks and sounds delicious! I am definitely a pork fan. I prefer it over beef. I love pork roasts! I think you would love it John ! Pork is yummy. Sometimes I buy the thin sliced pork, makes a fast breakfast in the pan. Hope you do and let me know. It gave it such a fresh taste! This sounds delicious. Pork tenderloin has been a favorite of this household for years. Hope you enjoy it susan!! 🙂 Any special way you like to make it Kathryn? I usually dose it liberally with some Santorini Sunset seasoning, then sous vide it before searing in a cast-iron skillet. 🙂 I bought that seasoning from Kouzouna’s Kitchen. I think you will really enjoy kerfe! Such a delicious marinade for the pork tenderloin! Thanks! It was so wonderful! I bet the rosemary is wonderful! I put rosemary in anything I can! LOL! pork tenderloin is oohlala! thanks for sharing this, jodi!